Public Archaeology and Climate Change promotes new approaches to studying and managing sites threatened by climate change, specifically actions that engage communities or employ ‘citizen science’ initiatives. Researchers and heritage managers around the world are witnessing severe challenges and developing innovative mechanisms for dealing with them. Increasingly archaeologists are embracing practices learned from the natural heritage sector, which has long worked with the public in practical recording projects. By involving the public in projects and making data accessible, archaeologists are engaging society in the debate on threatened heritage and in wider discussions on climate change. Community involvement also underpins wider climate change adaptation strategies, and citizen science projects can help to influence and inform policy makers. Developing threats to heritage are being experienced around the world, and as this collection of papers will show, new partnerships and collaborations are crossing national boundaries. With examples from across the globe, this selection of 18 papers detail the scale of the problem through a variety of case studies. Together they demonstrate how heritage professionals, working in diverse environments and with distinctive archaeology, are engaging with the public to raise awareness of this threatened resource. Contributors examine differing responses and proactive methodologies for the protection, preservation and recording of sites at risk from natural forces and demonstrate how new approaches can better engage people with sites that are under increasing threat of destruction, thus contributing to the resilience of our shared heritage. "I found this volume to be very readable, informative and enjoyable. I greatly appreciated the uniqueness of the intersection of public archaeology, cultural-heritage management and climate change. The editors have done an excellent job assembling the papers... 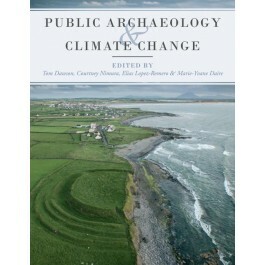 I agree with the editors that ‘this volume will make a key reference for those involved in climate change and heritage studies’. I go further in saying that the relevance of this volume to cultural-heritage managers and public archaeologists will only increase in the future." "...a very important contribution to our field because it offers practitioners encouragement and inspiration as they race climate change to identify, record, and understand impacts on cultural heritage sites, and then to a respond to those threats and impacts." "This important volume highlights the threats facing cultural heritage sites and offers strategies for their preservation addressed through public archaeology programs… Recommended." "Given that many of these approaches could be tailored to local conditions, this book will be useful to archaeologists, heritage practitioners, or even policy-makers working on the preservation and protection of any heritage site impacted by climate change. While archaeological heritage is an underutilized field in awareness-raising about our changing climate, this edition demonstrates how it can spur engagement in diverse communities and potentially change national and international policy addressing contemporary climate change."